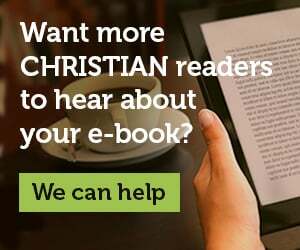 Set your e-book apart from the rest. Advertise your e-book in the most visible place on our website. This spot displays right below our header logo on our homepage as well as the daily deals page. Not only is it seen above-the-fold on both desktop and mobile, but it is also completely immune to ad-blockers. This makes it perform exponentially better than standard banner ads. You may provide your own 1512 x 500px design or you can request our standard template which requires no graphic design on your part. If you’re ready to proceed with promoting your e-book, please fill out the form below. After we review your request, you will you be sent an invoice, usually within 24 hours. I regularly attend an evangelical/protestant church. I affirm the National Association of Evangelicals statement of faith. My book does not teach any controversial doctrines that are considered by many to be unorthodox/heretical. 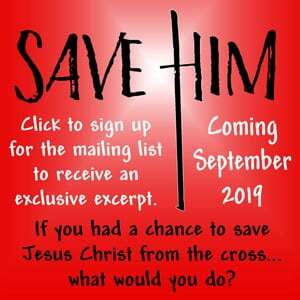 We need to hear about your faith before we promote your book on our site. If you cannot affirm (or need clarification on) a particular statement above, please explain in the comments section at the bottom of this form. Please provide a direct link to your book on Amazon. If you want your e-book featured on a specific date or during a specific time window, please let us know. If you are flexible, we will provide you with a list of available dates after the invoice is paid. I'd like to use the template design. Will you be providing your own 1512 x 500px design or would you like us to use our own template which requires no work on your part? We use your book cover, author name, and book title in the design. For an additional $39 ($11 off regular price), we can also list your e-book on our site as one of the daily deals. Your e-book will also be included in our daily deals e-mail on the day it is listed (8200+ subscribers). For an additional $40 ($10 off regular price), we can help you reach an even bigger audience by sending out a social media blast which promotes your e-book. 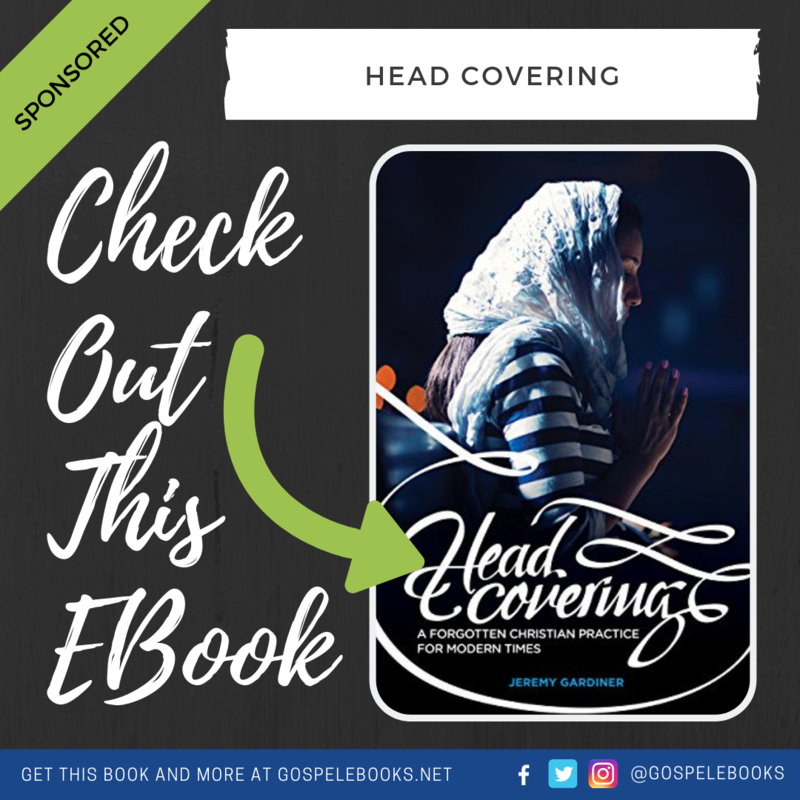 We'll use this template design and then send it to our Twitter, Facebook, and Instagram pages (over 26,000 followers) on the day your e-book is featured on our site. Do you have any questions or is there anything else you want to mention? 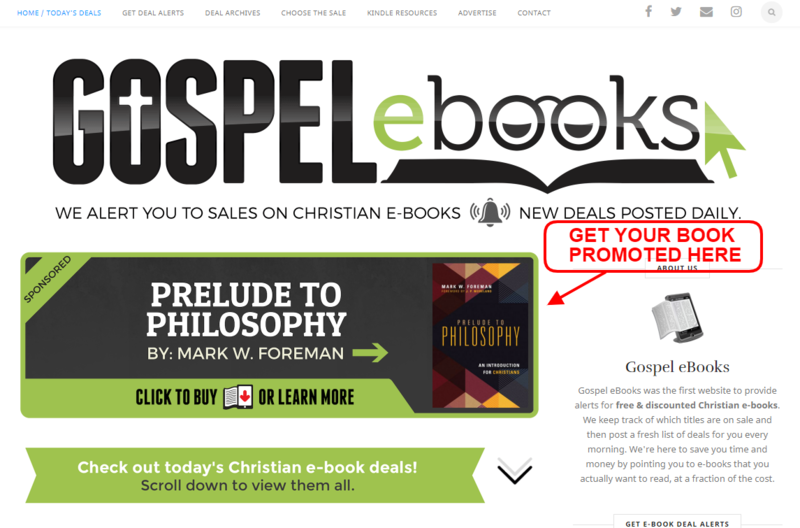 To learn more about Gospel eBooks or to view additional advertising options please see our advertising kit. If you have any questions feel free to contact us.